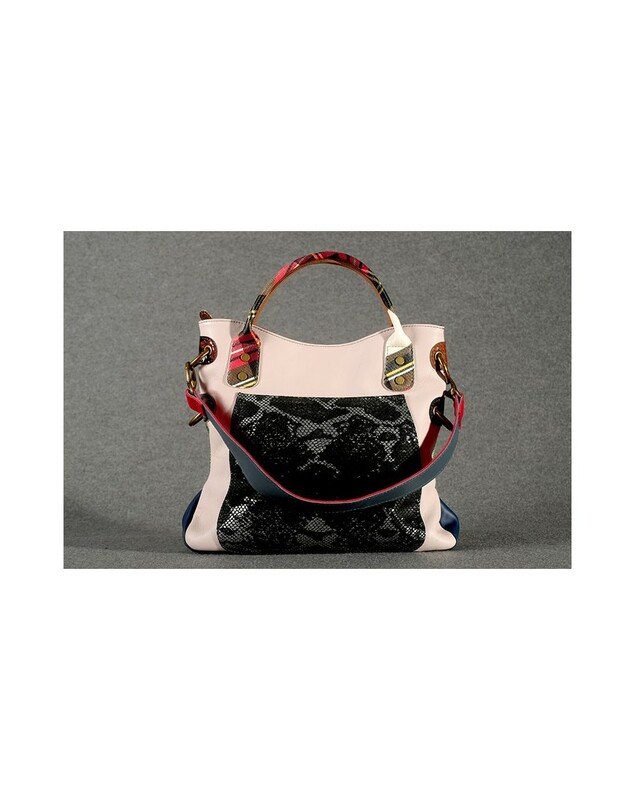 A new accessory designed to become cult: the shopper Due to is appreciated for its generous design and patchwork leather, with two metal rings along on its sides, handy for attaching the shoulder strap, they will give your daywear an unmistakable metropolitan appeal. The Due to has two patchwork leather handles enriched with metal studs, a lined interior with soft cotton and two pockets to carry your personal belongings. Zip closure.